Police are less likely to show up at protests involving religious actors or organizations — unless the protesters are fundamentalist Christians, according to a new study. Researchers studied protest-event data from daily editions of The New York Times published between 1960 and 1995 and found that, in general, police were more likely to leave alone protests from religious groups. However, fundamentalist Christian groups were more likely to be policed than secular groups were. 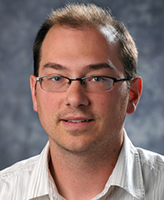 “Rather than reflecting greater societal reverence, which would jeopardize police officers’ reputation for policing protesters society holds in higher esteem, the protective effect of religion was due to the fact that religious-based protests featured less threatening tactics, including violence and property damage,” said Kraig Beyerlein, an assistant professor of sociology at Notre Dame who is lead author of the study. Beyerlein notes, however, that not all religious groups enjoyed equal protection from the watchful eye of law enforcement while taking to the streets. Beyerlein pointed out that fundamentalist Christians were not policed more than secular groups because they employed more threatening tactics. In fact, they were less likely to use extremely confrontational tactics at events relative to secular groups. It was only when these tactics were controlled that fundamentalist Christians became more likely to be policed than secular groups. “We theoretically suggest that this finding reflects either the populace’s generally unfavorable view of fundamentalist Christians and thus law enforcement officers do not risk jeopardizing their reputation by policing a group that society holds in low esteem, or the police’s perception that this group is ‘deviant’ and therefore in need of being socially controlled,” he said. The study was done using quantitative analyses (statistical models) of protest-event data from The New York Times, provided by the Dynamics of Collective Action project. Sarah Soule of Stanford University and Nancy Martin of California State University Long Beach are co-authors of the study. The study appears in the journal The American Sociological Review. The study can be viewed here.